The theme of this chapter is in accord with the growing discussion proposed by several researchers while investigating games contributions for teaching and learning, particularly in relation to school. Within school environments, parents and teachers perceive that moment with suspicion, thus augmenting their questions about which evidence would point to games as capable of facilitating learning. Therefore, methodologies, procedural field, and evaluation instruments arise in an attempt to evidence the contributions of games for learning. 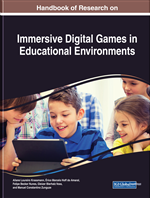 The chapter's main objective is to present the bases of a summative evaluation methodology for educational digital games, having as a guiding tool an instrument ad hoc. The principles which orientate such grounds are based on interaction design and on the learning principles of Paul Gee. The instrument description is also included, as well as its enforceability by means of a pilot study. Games are not something new. According to Huizinga (2001), games are older than Culture itself. As they’re not new, they bring, per se, characteristics of their own in several eras, which were being modified and expanded according to the distinct possibilities between them and the interactive digital means. declared that, by means of games, a child happily does something they would not if forced to. Kant, supported by the fundamentals from Duflo (1999), also brought his contribution by affirming that a game helps a young person to behave. Games, within digital means, constitute themselves as a more recent phenomenon. As a conceptual essence, they mean those games conceived for technological or computational support, formed by algorithms, by a set of computational instructions associated with numeric data mediated by digital processors which execute them and that may be supported by means of gadgets as consoles, computers, smart phones and tablets.